INVIVOX - Advanced Microsurgery with Dr. Yelena Akelina. The Advanced Microsurgery course involves 40 hours of one-on-one, individualized training of microsurgical and supermicrosurgical techniques in a small class environment where every student can learn at their own pace. In this course, students will finesse the microsurgical skills they have learned in the Basic Microsurgery course and perform end-to-end, end-to-side, and end-to-side bypass anastomoses, interpositional vein grafts, and groin cutaneous free tissue flaps on live rat models. Students will also learn supermicrosurgical skills by using 11-0 nylon on procedures such as the groin cutaneous free tissue flap using the interior superficial epigastric artery and vein as the pedicle (<1 mm in diameter). At the end of the course, students can choose to practice on exercises that pertain to their specialties, such as performing a vasovasostomy, a vasoepididymostomy, a Fallopian Tube repair, a serratus anterior muscle flap to the femoral vessels, or a renal transplant using continuous suturing. Building off of the skills learned in the Basic Microsurgery course, students will now be able to finesse their self-control, patience, handling of fragile tissues, attention to detail, manual dexterity, efficiency in completion of an anastomosis, and brain-hand-eye-foot coordination. Because these skills are transferable to other clinical professions, this course is a valuable learning experience for surgeons, clinicians, and researchers alike. Students who successfully complete the curriculum will receive an Advanced Microsurgery Certificate of Training. 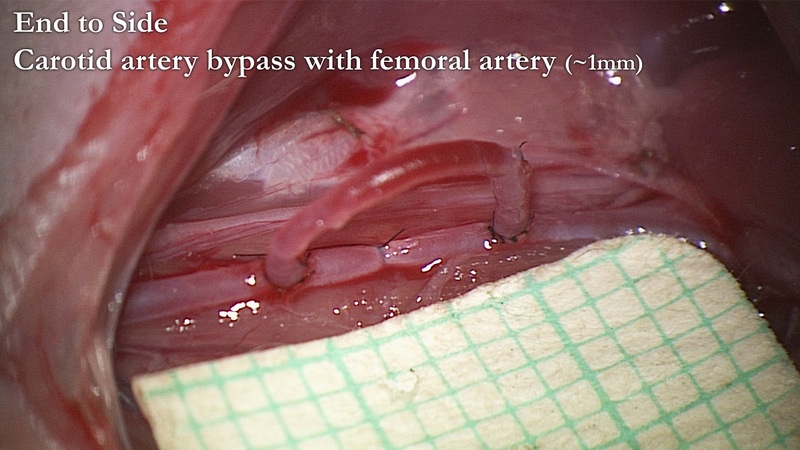 Histological Changes in the Rat Femoral Artery Following the Use of the Empty-and-Refill Test. A Comparison of the Minimal-Touch Technique and the Eversion Technique for Microvascular Anastomosis in a Rat Model. Practice end-to-end arterial anastomosis using interrupted suturing. Practice end-to-end venous anastomosis using interrupted suturing. Practice end-to-side anastomosis using femoral artery to the side of femoral vein. Practice end-to-side anastomosis using femoral vein to the side of femoral artery. Practice end-to-end carotid artery anastomosis. Practice carotid end-to-side bypass using arterial graft (femoral artery). Practice interpositional vein graft using epigastric vein and femoral artery. Groin free tissue flap using femoral vessels as a pedicle. 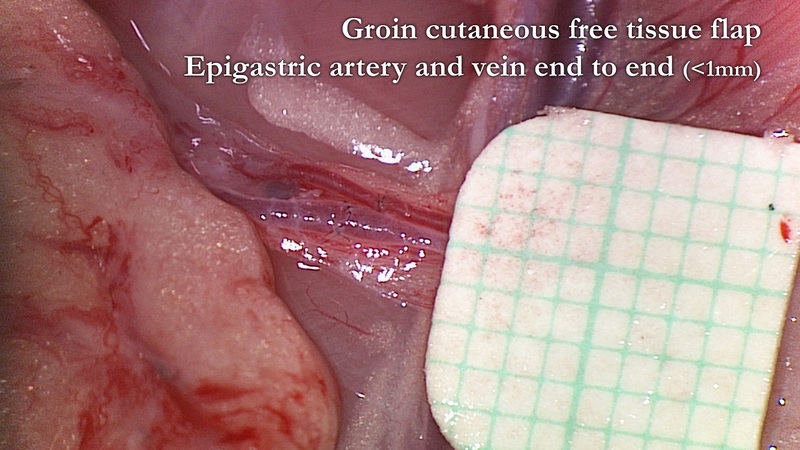 Groin free tissue flap using interior superficial epigastric artery and vein and 11-0 nylon. A PDF version of the syllabus can be found here. The Center is located at West 168th Street and Broadway, immediately southeast of the George Washington Bridge, in the Heights/Inwood section of northern Manhattan. Take the 1, A, or C train to the 168th Street station. From midtown Manhattan, the A train provides express service. A number of city buses serve the medical center: M-2, 3, 4, 5, and 100. For additional bus and subway information, call the Transit Authority at 718-330-1234. The fastest and most convenient way to reach the medical center by automobile is to follow directions to the George Washington Bridge and exit onto Riverside Drive. From there, proceed south and turn left onto West 165th Street (the first left), and then right onto Fort Washington Avenue to the medical center parking facility. From Riverdale and Westchester: via the Saw Mill River Parkway, exit the Henry Hudson Parkway at the Riverside Drive exit, which is immediately past the George Washington Bridge. From Westchester, Connecticut, or the East Side of Manhattan: via the Major Deegan, Cross-Bronx Expressway, or Harlem River Drive approaching the George Washington Bridge, take the Henry Hudson Parkway, stay to the left, and follow signs to Riverside Drive. Columbia has negotiated rates with 11 preferred hotels in New York City. Click here for more information on hotels, rates, and reservations. The NYC Tourism website offers a wealth of information on the city and its attractions. Caroline V. Very good course. Individual attention. Individual program if needed. A lot of exposure to microsurgery. Dr. Katy T. This course is phenomenal, highly recommended. Yelena and Celine were amazing all week, incredibly patient and giving lots of wonderful hands on advice. The skills taught were challenging, but broken down to easily digested learning portions. The microsurgical skill set is very transferable to many different applications. I look forward to sharing some of these skills with my residents. Dr. Andrew R. Excellent course, with great faculty and facilities. Very enjoyable and well run. Dr. Jakub M. I recommend the Microsurgery Course. Dr. JESSE A. very useful course in technique and ability to practice with immediate feedback. Would recommend to anyone interested in hand surgery; especially for upper-level residents and hand surgery fellows. Yelena and her interns are readily available for teaching and improving technique throughout the course. Dr. David K. Yelena and her team were very patient with me and allowed me to tailor the course to my clinical needs. It's the hardest thing I have ever done but I definitely improved throughout the week. I do recommend the course for all levels of experience. Dr. Joanna B. I really enjoyed this course and my confidence in microsurgery bloomed! The facilities are second to none and for my level of expriece (CT2/ST3 transtion in UK system) I can think of no better way to learn, lots of time to go at my own pace and space to make mistakes and correct them with excellent feedback from Yelena, our trainer. A superb course, I will be reccomending it to all my plastic surgery colleauges. Dr. Fatine E. I highly recommend this course to anyone interested in microsurgery, or who wants to horn in on this difficult skill. It's a very informative course with complete hands on experience. No more than 3 students per week so the attention is really one on one and Dr Yelena is the BEST ! Dr. John S. Excellent course! Dr. Moayad A. Best course I've ever attended, the faculty were extremely organized and were able to tailor the experiences for each one of us, small grouping "3" made it possible for the faculty to monitor our progression and ensuring that we get the maximum out of these 5 days. Having zero experience in Microsurgery at day one, and being able to perform vein grafts by the end of the course can tell how useful it was. EXTREMELY RECOMMENDED. Dr. Christopher S. The knowledge and experience of Yelena, assistance from the highly trained and capable interns such as Amro, and small group setting of the course (maximum of three) make this probably one of the best microsurgery courses in the world. I would highly recommend it if you'd like to learn micro from scratch or brush up and develop your existing skills. Many thanks! Dr. Boris A. The course and personel overpassed my expectations. Academic level and Hospitality were the Highest features I ever seen in an International trainning. I recommend it doubtlessly. Dr. Gerrit D. Great Course, learnt a lot.